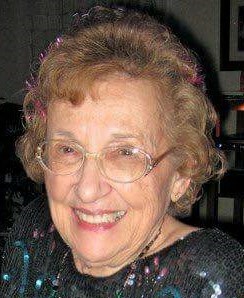 Obituary for Helen Galka | Jaycox-Jaworski Funeral Home & Crematory, a Branch of Gentle Care Funeral & Cremation Services, Ltd.
Helen Galka, age 96, of McKeesport, died August 20, 2018, at Harbour Senior Living of Monroeville. Born January 20, 1922 in Czechoslovakia, she was a daughter of the late Michael and Ann (Buleca) Maha and the wife of Edward F. Galka, who died in 2015. Helen was an artist of many talents. She was an oil colorist of portraits at Goldtone and Carter- Dinino Studios. Helen loved to sing and performed with several groups. She was a faithful member of Corpus Christi Parish in McKeesport. Survivors include children, Kathleen A. (James R.) Miller, of White Oak, Richard M. (Rose Czura) Galka, of North Huntingdon and Joanne M. (Dr. Bruce Sullivan) Galka, of Boston, MA; grandchildren, Jennifer Scott, Lisa Barry, Jonathan Galka, Jesse Miller and Cassidy Gerstner; great grandchildren, Gavin, Dylan and Skyla Scott, and Nathan, Barry and Quinn Miller; siblings, Elizabeth (Jack) Monahan of Oil City and Olga Fry, of Erie; nieces and nephews. Helen was preceded in death by son, Vincent E.; siblings, Michael Maha and Margaret Fencik.